The propeller was the original grave marker, it was placed here by his father. 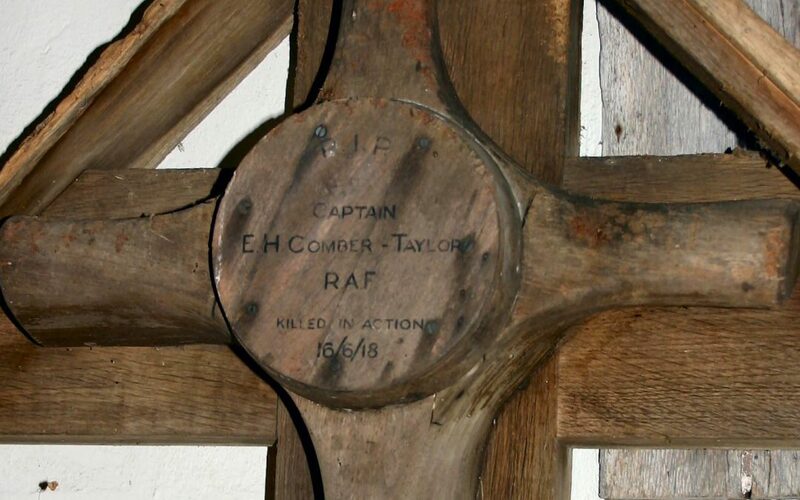 This memorial to Captain Eric Horace Comber-Taylor, RAF, stands in the porch of St. Peter’s Church, Twineham. He was killed in action on the 16th June 1918, and lies in Esquelbeco Military Cemetery, France. Grave Reference: III. B. 20. Additional Information: Son of Mr. W. O. and Mrs. 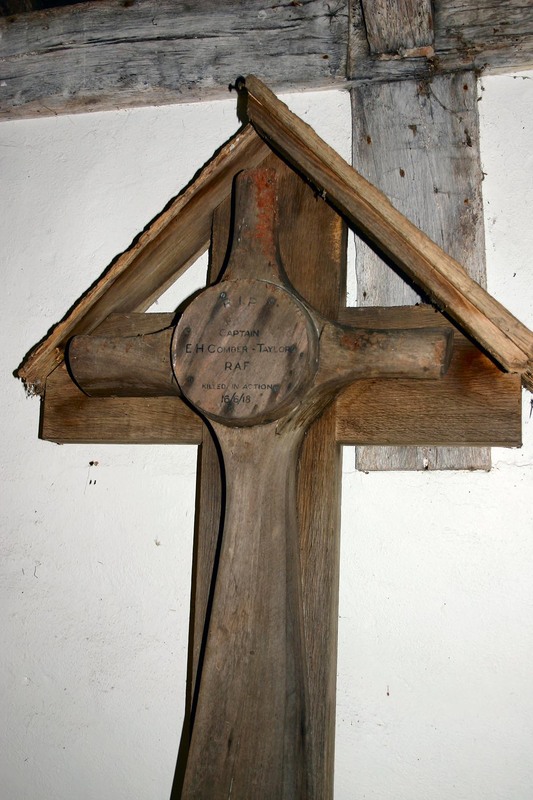 I. E. Comber-Taylor, of “Furzelands,” Albourne, Hassocks, Sussex. Native of Brighton. With thanks to Paul Reed for spotting the marker.